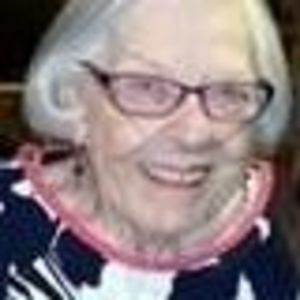 Mary Whitehead Page passed away peacefully January 23, 2018 at her home in The Mayflower after a long struggle with COPD. Mary was born July 8, 1921 in Macon, Georgia to Henry Loh and Sue Dent Whitehead. She was married for 55 years to COL. Jack Page, USAF also of Macon. The military couple lived all over the world before settling in Winter Park with their 3 children: Sue P. Williams, Helen P. Bradick (Nick), and Mike Page. Mary is survived by her beloved children, numerous grandchildren, great-grandchildren, nieces, nephews, cousins, brother Henry Loh Whitehead Jr., and many friends. Mary loved to laugh and was always the "life of the party." She now resides with Christ, her Savior, but from here she will be greatly missed. at The Mayflower Retirement Home, Winter Park, Florida. 4049 S. Orange Blossom Trail, Orlando, Florida 32839.